Mom and son flaunting their favorite school colors. 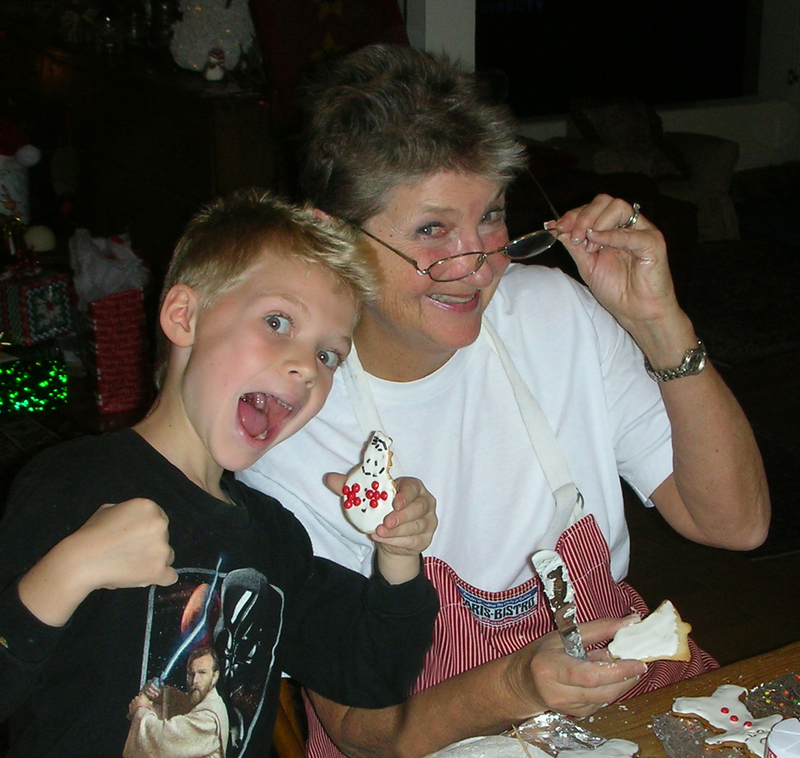 Clowning around and decorating Christmas cookies with Grandma LoLo. The enthusiasm might be a result of a little too much sugar in the icing. 2010. 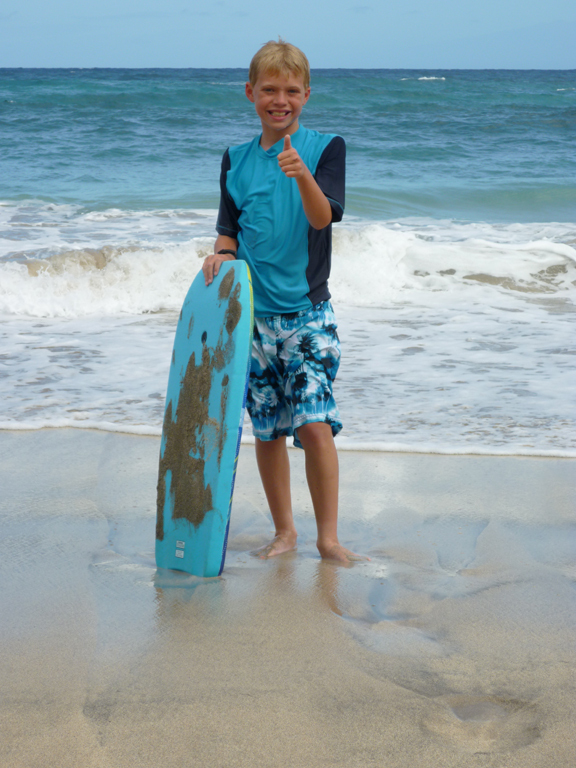 Striking a pose after a good boogie board run at Hamoa Beach, Hana, Maui. 2011. 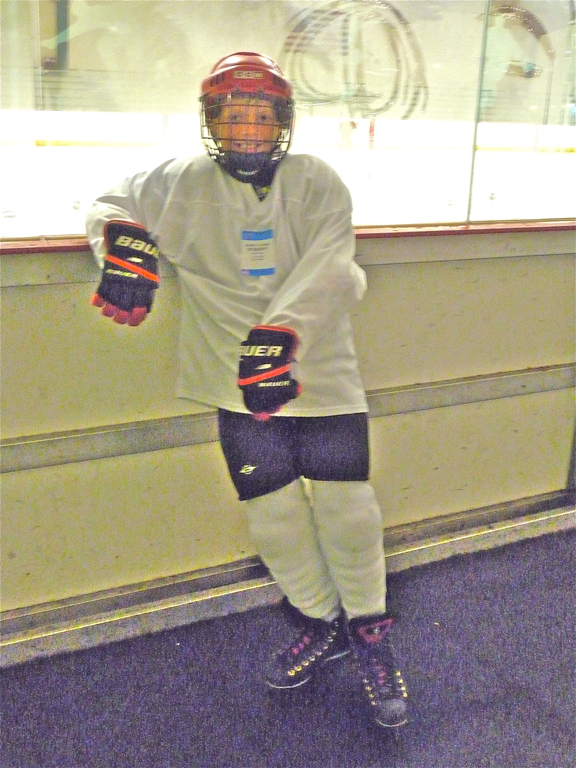 Logan striking another pose after an ice hockey game at the Pickwick arena in Burbank, California. 2012.